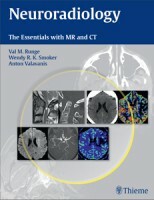 The patient presented with signs of a large acute left MCA infarct, and proceeded to DSA. The images on the top row were acquired within hours following DSA, and show gyriform hyperdensity in the left MCA and watershed distributions, including the left caudate head. 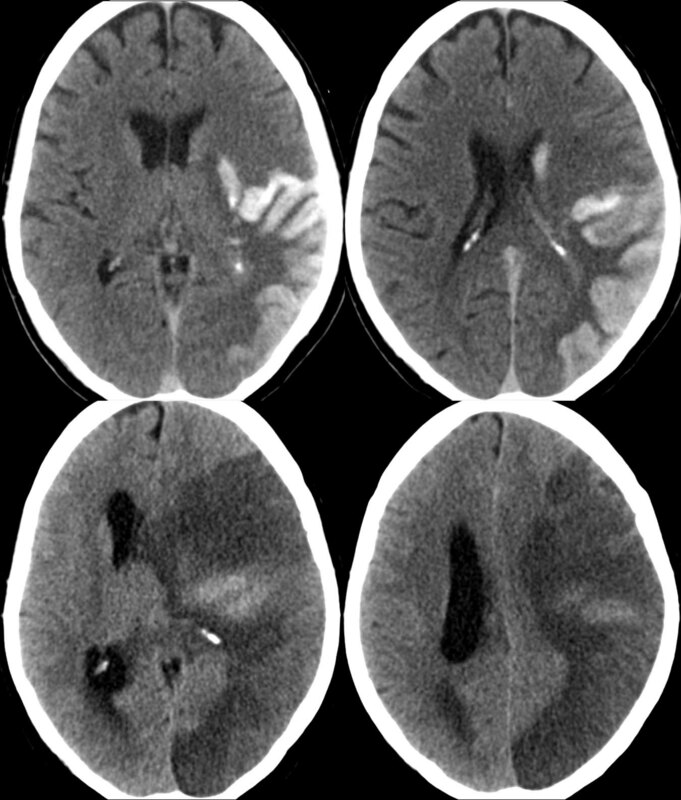 By imaging appearance alone, this could represent either hemorrhage or residual intravenous contrast (with blood-brain barrier disruption, as might be present in a massive early infarct). 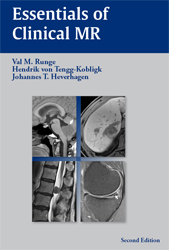 A follow-up CT obtained 3 days later proves the attenuation to be due to iodine, due to its predominant clearance. 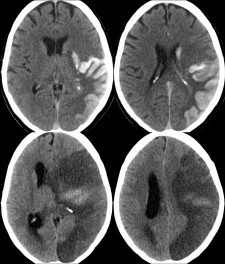 There is progression in low attenuation of the infarct itself, and prominent mass effect with subfalcine herniation, increased intracranial pressure (reflected by the absence of sulci) and trapping of the right lateral ventricle.